During an emergency the right equipment at the right time can mean the difference between significant problems and a non-issue. Be prepared with survival sleeping bags, gear and emergency equipment. 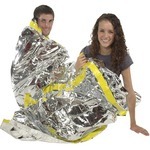 Emergency situations can be minimized as much as possible when people are ready with the appropriate emergency sleeping equipment and survival gear. Be sure you have the right gear and tools and know how to use them. The right tool in the right hands can be a life saver. The Emergency Prep Gear sleeping gear selections contain quality gear and tools to help you deal with crisis and critical events. 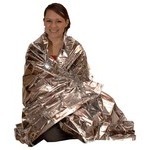 Consider acquiring the right emergency sleeping gear for your situation and for each individual you are responsible for. There is gear for individuals, families, work, and more. Let us help you get outfitted for the next inevitable emergency.